Perhaps written in flight from the "shipwreck of introspection," it is a book unlike any other in the Lispector canon, a novel about simplyseeing the external world. Its heroine Lucrécia is utterly mute and unreflective. She may have no inner life. Moreover, the plot itself is utterly unlike any other Lispector narrative: small town gal marries rich man, sees the world, and lives happily ever after That said, there are miraculous horses, linguistic ecstasies, catty remarks, minor characters' visions, music from unknown sources. But centrally, there is Lucrécia, the heroine free of the burden of thought, who "leaned over without any individuality, trying merely to look at things directly." 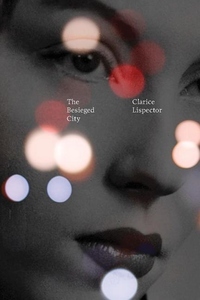 And yet her "mere" looking leads, as Lispector's biographer Benjamin Moser notes, "paradoxically but inevitably, to Clarice's own metaphysical concerns. As it turns out, not being profound is simply another way of being profound."